Well folks, it's cuffing season, that special time of year where even the most independent singletons lock down a cuddle buddy to survive these cold winter months. And considering the growing crop of young people we have here in Bushwick, the cuffing opportunities are endless! Whether it be at an indoor art event, a happy hour, a stand-up show, or through a friend, there’s no shortage of chances to find a snuggle partner in the area this winter. However, if you’re wondering why this all just sounds too good to be true, allow us to snap back to reality real quick. While cuffing season is totally good news, the sheer amount of endorphins it gifts to us can make responsible sexual decision making a bit tougher than usual. With this in mind, read on for the scoop on how to keep yourself and your partners safe, happy, and healthy this cuffing season. Blame it on the growing number of millennials in the area, casual dating apps or the discounted drinks… but there are a lot of STDs making the rounds in Bushwick. 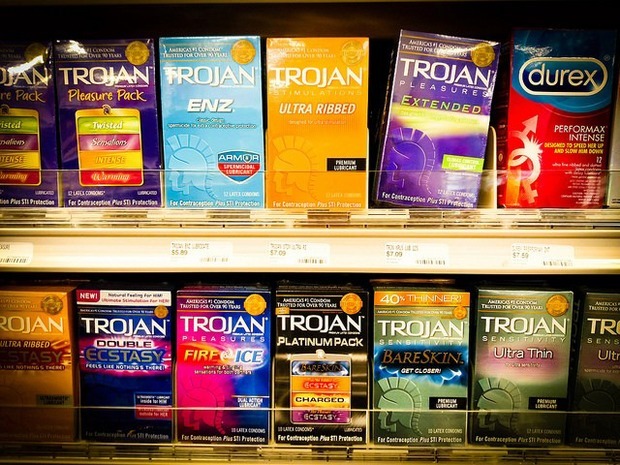 According to data on New York City’s Health site, the rate of STDs, like chlamydia, have been on the rise in our neighborhood over the last two decades. In fact, Bushwick currently ranks number 10 out of 42 for female chlamydia and has the fourth highest rate of male chlamydia out of 42 neighborhoods. Similarly, a 2017 report from Patch states that Bushwick and East Williamsburg also rank number 10 out of 42 for female gonorrhea, but have the third highest rate of male gonorrhea in the borough according to the same study. While some of you may be thinking of just taking your chances, as both of the above are highly treatable, keep in mind that the rate of new HIV infections is highest in the 20-24 age bracket and that other sexually transmitted infections are still most definitely a thing. We get it. It’s not realistic to ask someone you met at a bar, and may take home, to go get tested first and even it was, it’s not the sexiest of questions. Here, one of the next best things to do, is to pick up protection. 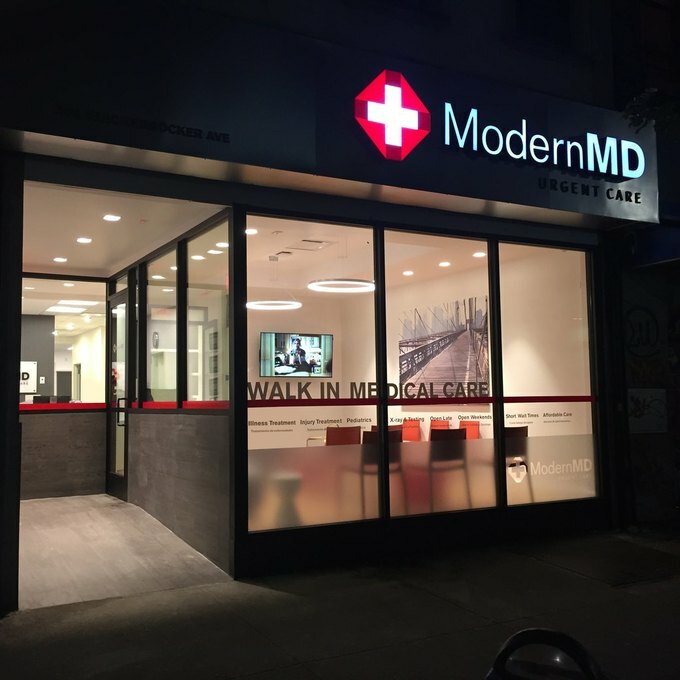 Pre-plan your cuffing season outings by stopping by ModernMD’s office on Knickerbocker Avenue. There’s free condoms and lube for everyone, no judgement involved and no appointment necessary. Just grab and go, and let your friends know too. Regardless of how you choose to be sexually active, getting yourself tested regularly and encouraging your partners to the same is never a bad idea. The Center for Disease Control recommends varied frequencies and types of testing for STDs depending on your lifestyle, age and risk factors, check those out here, but if you’re currently, or have recently been sexually active, consider popping by ModernMD to get tested as soon as you can. This is true if you’ve casually dated, have only had a few partners, or even a steady partner. While you may be feeling great, you could potentially have a sexually transmitted infection with no symptoms, or symptoms that haven't surfaced yet, so it's important to know you're good to go. If there’s someone special that you plan to spend a lot of time with this winter, have a conversation with them about getting tested. While this is pretty high on the list of awkward dinner conversations, perhaps making a night of it will help keep things chill. For instance, right before you go out to get a bite and drinks, just walk in to ModernMD and ask to be tested for STDs, no appointment necessary, seven days a week. Providers will make sure that you’re comfortable and there’s absolutely no judgement involved. Confirming that you're healthy before you inevitably cuff up this winter is the greatest gift you can give yourself and your future partners. If you have any questions about STD testing, feel free to reach out to any of ModernMD’s seven Brooklyn locations, or stop by whenever works best for you. Bushwick’s ModernMD is located at 366 Knickerbocker Avenue between Stanhope and Stockholm streets and can be reached at 646-604-8160.